The most famous large-sized power tubes in the history of audio are the 300B, 211, and 845. After having such an amazing experience with the Melody AN300B integrated amplifier, I was quite motivated to review another sister in this category of legendary power tubes. This time, I wanted to listen to a pair of mono blocks driven by my reference-level Concert Fidelity CF-080 line stage. Also, I was seeking a pair of 845 tube-based mono blocks because the sonic presentation of the 845 tube is different than that of a 300B. 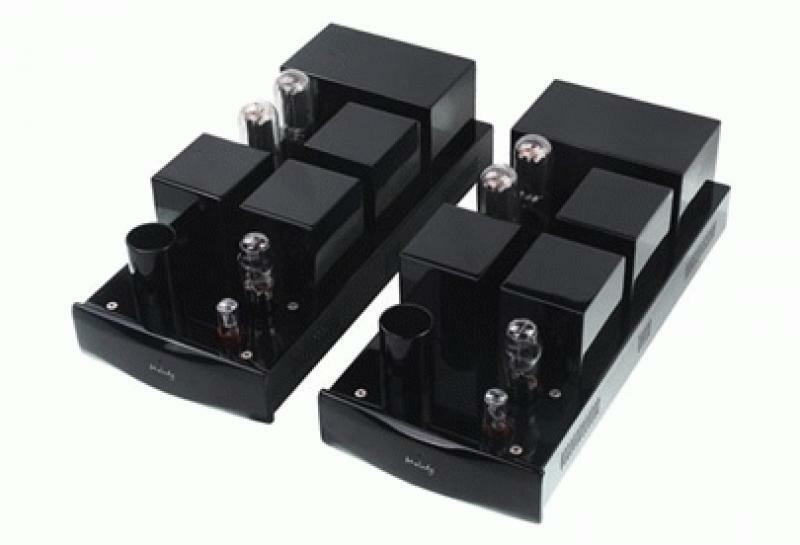 I made arrangements with Hugh Nguyen, owner of Angel City Audio, to set up this review of the Melody Valve HiFi PM845 mono block, for which he is also the importer. These mono blocks retail for $8,499 per pair. Each one weighs 99.2 pounds and measures 8.5 inches high by 11.8 inches wide by 27.6 inches deep. The PM845 produces 70 Class A watts into either into four ohms or eight ohms. • Read more amplifier reviews by Home Theater Review's writers. • Explore Bookshelf Speakers and Floorstanding Speakers to pair with the amp. The company name, Melody, is engraved on the front of each mono block, where there's also a single amber LED signifying whether the amplifier is in the on or off position. Around back are an RCA and XLR input, the main power switch, an IEC power inlet, and reference-level WBT-style speaker posts for either four-ohm or eight-ohm speakers. Residing above the top plate are four massive input and power transformers. Located in front of these transformers are the two input tubes, A2A3 and 6SN7. Nestled in between the transformers and outside the edge of the mono block is a pair of large 845 tubes. 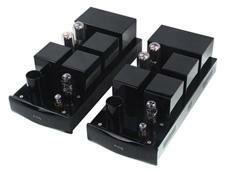 The PM845 mono blocks are self-biasing. Each mono block, including the tube cages, is finished in the most exceptional and exquisite piano-black lacquer that I have ever seen on a piece of equipment. The build quality and physical appearance of the PM845 rank at the highest level of what is being built in the market today. My first selection to test sonic performance of the Melody Valve HiFi PM845 mono blocks was Grant Green's album Grant Stand (Blue Note Records), featuring Green on electric guitar, Yusef Lateef on tenor sax, Jack McDuff on 3-B Hammond organ, and Al Haywood on drums. Immediately apparent when I played the blues-drenched cut "Blues in Maude's Flat" were the overall macro-dynamics and the extremely taut and accurate extended bass pedals of the 3-B Hammond organ. These mono blocks developed a large and precisely layered soundstage and can be compared to my solid-state Pass Labs XA-60.5 mono blocks for being quiet and transparent, rendering all of the important little details and nuances of the music. To test how the mono blocks reproduced the timbres and tonality of natural acoustic classical music, I chose Johann Strauss' "Thunder and Lighting Polka" from the album Ein Straussfest (Telarc Digital), performed by the Cincinnati Pops Orchestra and conducted by Erich Kunzel. This piece was rendered in a grainless, silky tonality that let all the individual timbres of the string and brass instruments easily flow into my listening space. With ascending crescendos, my room was completely pressurized, and the Melody Valve HiFi PM845 amps never ran out of steam, no matter how high the volume was set. My final listening test was to evaluate the amps' ability to produce realistic vocals using Nat "King" Cole's album After Midnight (Capital Jazz). Cole's voice and piano playing showed me the subtle sonic differences between the 300B and the 845 tubes. The 300B is richer and offers a fuller sound regarding tone and image density. The 845 is slightly less rich and warm, and has slightly less three-dimensional imaging. Imagine these comparisons: velvet for the 300B and silk for the 845, both of them beautiful, yet different. Which one is better? The answer is neither. It's merely based on your discerning taste and system synergy. Read about the high points and low points of the Melody PM845 on Page 2.